Because of the uniqueness of her artistry and persona, and the lack of a comprehensive record of her actual performances, Ruth Draper has received relatively little attention from theatre scholars. This may be a blessing. Without question, the leading authority on Ruth Draper was Dorothy Warren of New York City, a nonacademic whose approach to Draper was decidedly down to earth. Miss Warren was acquainted with Miss Draper and saw more than 30 of her performances, often watching from the wings. Since retiring from a career in financial work, Miss Warren devoted many years to compiling and preserving an accurate record of Ruth Draper’s life and work. 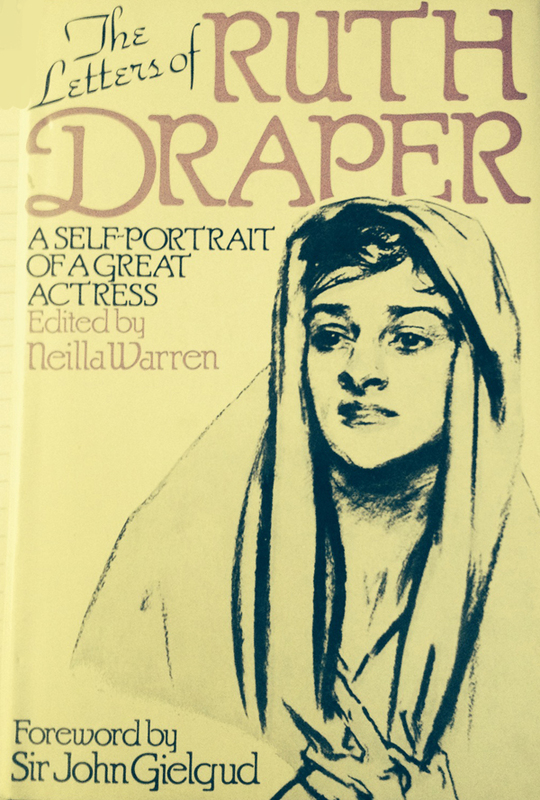 In 1979, writing as Neilla Warren, she completed the editing of The Letters of Ruth Draper: A Self-Portrait of a Great Actress (published by Scribner’s). Draper was a prodigious correspondent and her letters to friends and family provide us with a remarkable picture of this remarkable artist. A paperback reissue of The Letters of Ruth Draper was published in 1998 by Southern Illinois University Press (Carbondale). 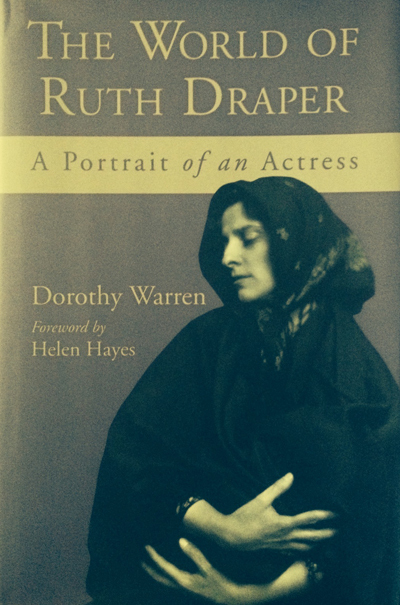 It was followed, in 1999, by publication (also by Southern Illinois University Press) of Miss Warren’s new full-length biography: The World of Ruth Draper. The two books work in tandem to present the portrait of a genius. Young, Jordan R., Acting Solo: The Art of One Man Shows. Moonstone Press, 1989.